1. Dice and mix all ingredients. 2. Stir, let sit for thirty minutes, and enjoy! 1. In a large skillet cook ground beef, onion, and garlic until beef is no longer pink, stirring to break up meat. 3. Add the beans and taco seasoning mix with a touch of water to distribute the seasoning; simmer for 5 minutes. 1. In a 2-quart heavy saucepan, heat oil or butter over low heat, stirring occasionally until melted. 2. Add rice and lime juice, stir for 1 minute. 3. Add water and salt, bring to a full rolling boil. 4. At boiling, cover, turn down to simmer over low heat until rice is tender and the water is absorbed, about 25 minutes. 5. Fluff rice with a fork. 6. Before serving stir in cilantro. 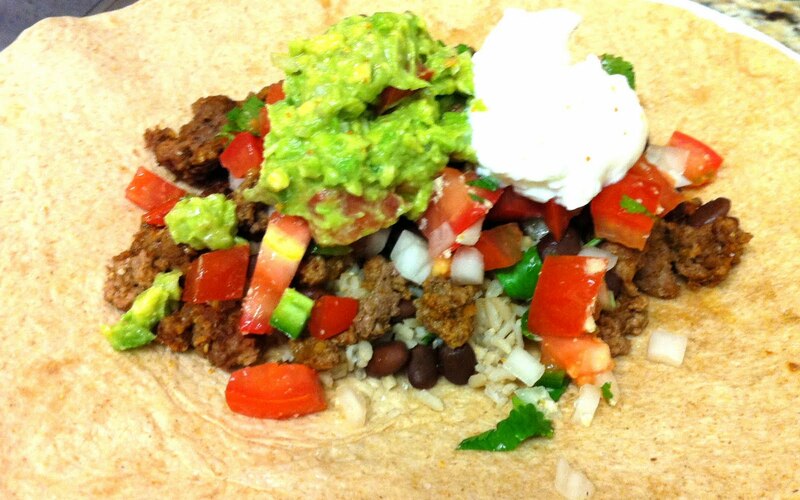 2) Lay the tortilla out on your serving plate, and place your meat, beans, rice, guacamole, pico de gallo and any other ingredients you wish to include in your burritto in the center. Do not overfill! 3) Fold the tortilla in half. 4) Fold over the ends. 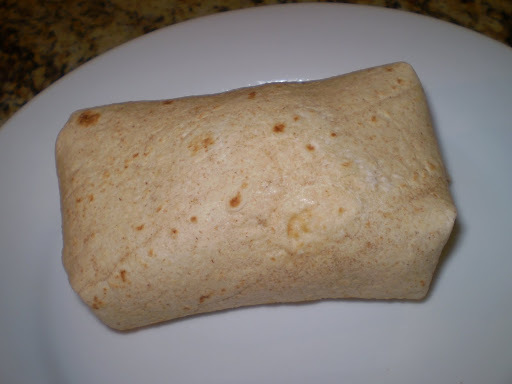 5) While holding the ends of the burrito roll the burrito over. 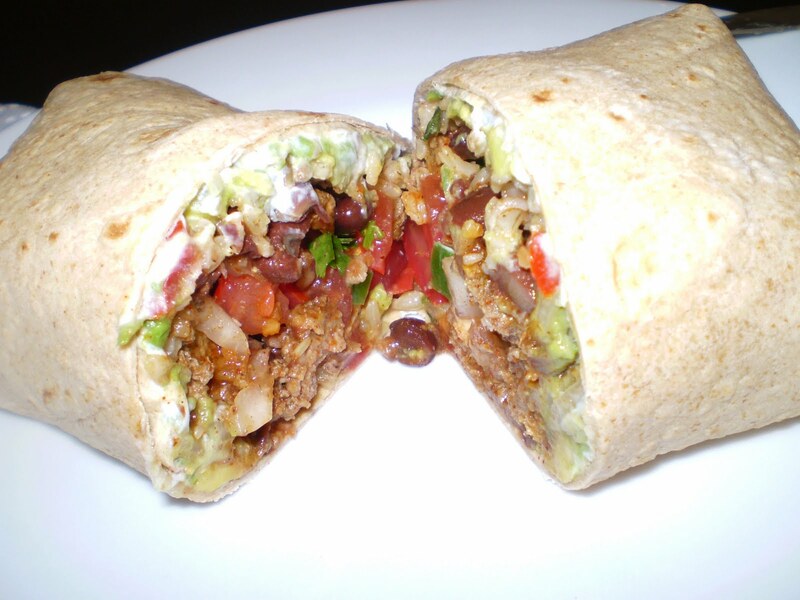 6) If you really want to make it chipotle style, cover with aluminum foil. That also makes for an easier clean up. What is better, Chipotle or Taco Bell?